Twin Flame Synchronicity – Is it Just a Coincidence? Twin Flame Synchronicity – You think its just a coincidence or there is something more ? 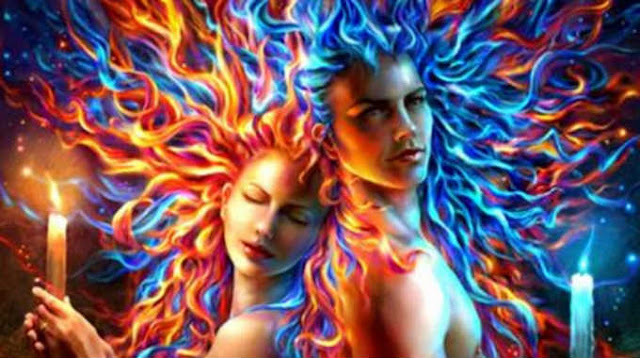 Your probably wondering what is twin flame synchronicity ? a synchronnicity is an event which are not related or it is unlikely to happen together by chance, yet it is experienced as occurring together in a meaningful way. Just like some events may be grouped together by a reason, they are also grouped together by meaning. A collection of events by implying there is no need to have an explanation in terms of cause and effect. Synchronicity was first established in 1920’s and described by Carl Gustave Jung, He is a Swiss Psychologist. In my opinion there are no such thing as coincidences, if you were to see all the events and ideas can be all connected together by a meaningful connection which can be very personal to the one who is having the synchronicity. I believe there are connection made between the inner and outer world, through internal psyche events and the external physical intentional events. There is an unique distinction in between the terms “chance” and also “synchronicity.”. Through many synchronicities in life twin flames begin to recognize that these events are a symbol of their connection. Initially, many think it is simply by chance, eventually, when they have a better surrender to this deep connection, they place their ego aside and understand that it is certainly not by chance. Once that is understood, they begin realize that their paths were put in purposely in the same place, at the same time for a reason. When they are both at the exact same phase to increase their understanding as well as their growth. Another sign of a twin flame synchronicity is allowing them to see that they are part of the same path when they cross together. They might live different lives, the mirroring triggers the twin flames to feel their close bond which in turn acts as a driver to growth as well as understanding of the soul.